You can reach Venice Piazzale Roma from the Stazione Marittima Cruise Terminal on the People Mover, the automated monorail train that connects Piazzale Roma and the Tronchetto terminals. Tickets may be purchased directly at the automatic ticket machines located at the entrance to the People Mover. When you reach Piazzale Roma, it is just a short walk to the ACTV landing stages, from which the main public transport waterbus routes depart in all directions and for all destinations, along the Grand Canal or the Giudecca Canal, or following the circuit of the outer circle waterbus routes. IL GRANDE AUTORE PRESENTA LE CANZONI DI MOGOL BATTISTI IN VERSIONE ROCK, con la la partecipazione del Maestro GIONI BARBERA, saranno in Fenice il prossimo 11 luglio 2015. The "Regatta (Palio) of the Ancient Maritime Republics" is a competition on eight-oared galleons among the crews of the cities of Amalfi, Genoa, Pisa and Venice. The event was born in the postwar period and is organized every year at the beginning of the summer by turns in the four cities (June 6th-7th 2015 is the turn of Venice), combining a fascinating historical-cultural message with a spectacular competition. The regatta is always preceded by the solemn historical parade, famous for the precious costumes, that introduces the atmosphere of the competition. During Carnival time in Venice, the Arsenal becomes a place full of TEMPTATION. With a small key you can open the door to your desires, and help your fantasies come to life within the magical “Torre di Porta Nuova” framework, where you will be enthralled by a dining experience. Audioguided tour: an audioguide will illustrate the history of the Opera House and its reconstruction. 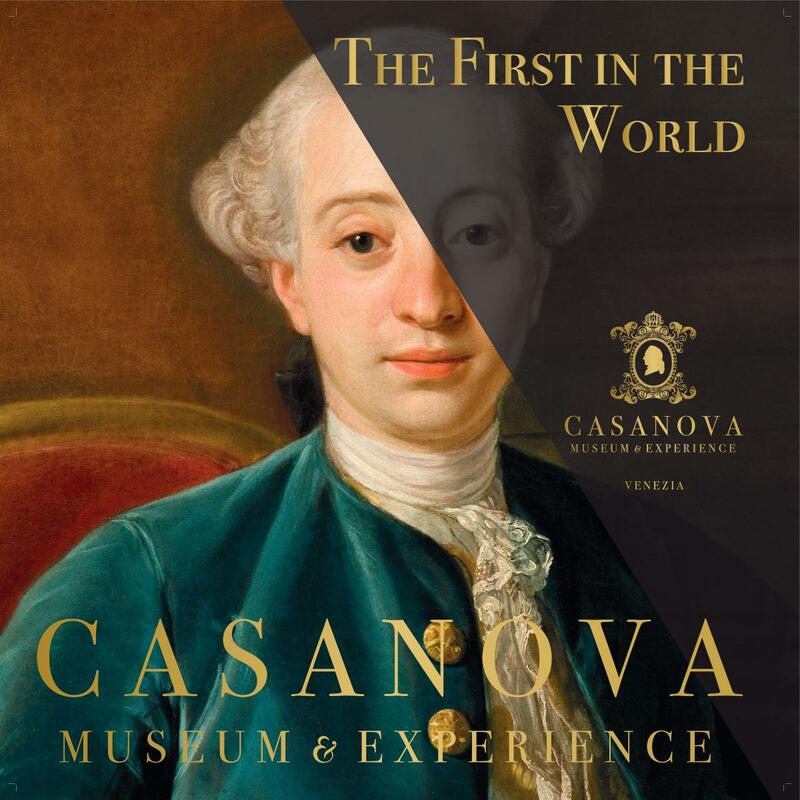 Live the experience of discovering Venice while visiting the places where Casanova had his adventures.